Who doesn’t dream of coming up to a microphone and belting out a song like Aretha Franklin? While we may not be able to sound even remotely like this and other legendary musical icons, we can take a trip to Muscle Shoals, Alabama and witness musical history. 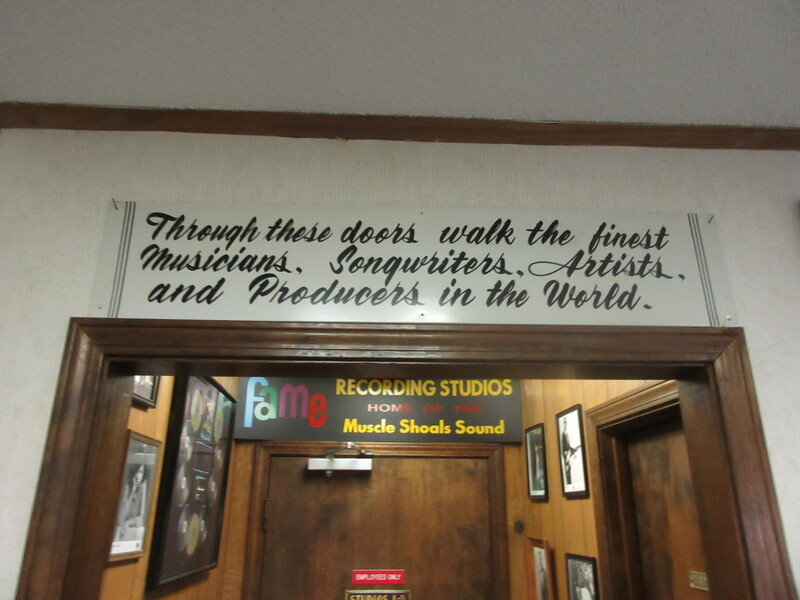 On a recent musical history trip to the Shoals area, I stopped by FAME studio to get my music fix. Before heading out on this musical journey I watched the documentary Muscle Shoals and I was completely blown away by the variety and longevity of this musical history. This documentary was running around the clock on one of the channels at the lovely Marriott where we stayed. The film has brought a whole new generation of visitors to the area. The sounds that link so prevalently to this area in a big part are the result of the efforts of a man named Rick Hall who brought the music production to town. While we were in the area, Rick Hall had just released a new book titled From Shame to FAME. FAME was his studio and his story is truly a rags to riches with success beyond anyone’s dreams. The studio while smaller than one would think has a history that reads like a Who’s Who book of legendary stars from all genres of music. The story that I was transfixed on was of the back up players that have become legends themselves. Many of these players remained in the area I was blessed to attend the amazing From Muscle Shoals to New York city event as part of the W.C. Handy Festival. The show was a premier at the Marriott conference Center that played before they headed to New York’s Lincoln Center. Jimmy Johnson and David Hood of the Swampers, the original name for the Rhythm players at Fame who later opened their own studio 3614 Jackson Highway played with special guests Jimmy Hall, Christine Ohlman and Carla Russell. When we were not on our feet we were “chair dancing”. Spencer, an intern at FAME took us on a guided tour and it was old home week. Georgia Turner Carter of the Florence/Lauderdale Tourism took me and my mom, Lora Disque to the studio and we had fun taking pictures and posing like the stars we are not! While there Georgia met up with a former friend and we met up with a couple that went to the same college I did in Illinois. It is a small world as they say. 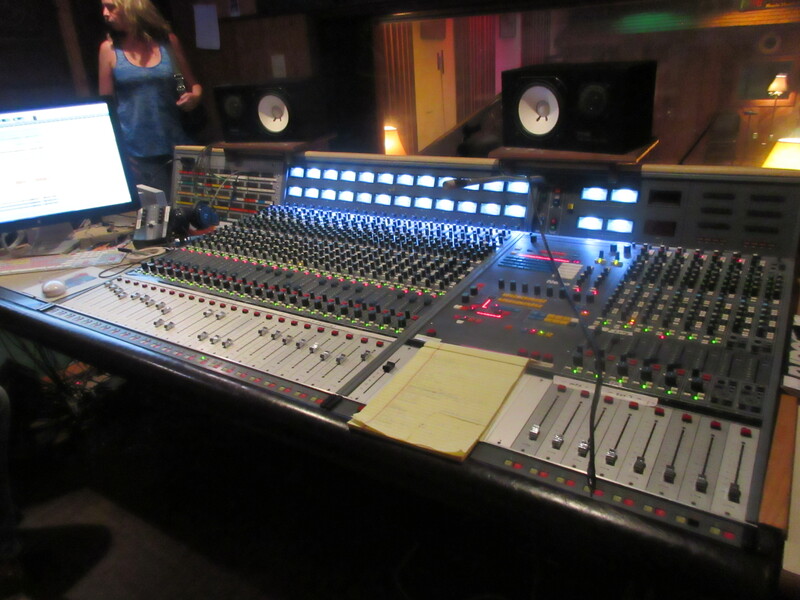 Being in a music studio and hearing the stories of the recordings, the bands players that have become celebrities in their own right and walking where musical legends walked was awe inspiring to say the least. After hearing a story about Duane Allman camping outside the studio until Rick Hall listened to him play, I realize the depth of determination these muscian’s have to walk their road. A visit to Fame (http://www.fame2.com/) and 3614 Jackson Highway Recording Studio which was the next stop on our agenda is a must. Next Post: The Alabama Music Hall of Fame and a really cool car!